After Christmas, we generally find ourselves embarking on a detox diet, to improve our health and nutritional uptake after the festive season excess. Hippocrates put it rather nicely “Let food be thy medicine and medicine be thy food”. What about our horses and nutrition? Summer is the great time to detox after the lush pastures of spring. The “green cordial effect” combination of high sugar, excessively high protein and potassium from rich green grasses, especially varieties like Rye, Clover and Lucerne, can leave our equine friends with deficiencies in nutrients essential for good health. This sees some horses overweight, others with behavioural problems and some with founder and/or soundness problems etc. The older horse men and women will tell you to watch the horses during and after spring and to monitor their grass intake. We seem to have lost these words of wisdom. A common stream of thought is horses on grass 24/7 is the way nature intended. Increasingly, scientific evidence is illustrating the importance of dietary management for horses, beyond simply putting them out to graze the paddock. Even more so as our animals are now grazed on intensely farmed pastures and smaller areas, instead of roaming freely on a wide range of more arid plants. I had an experience last spring with a reputedly quiet horse, which, once on a heady mix of Rye, Clover and Lotus Major (Poor Man’s Lucerne), proved himself to be quite the opposite. My first few rides on the horse were so quiet I could not get him to move forward and he had difficulty engaging his hindquarters. He felt horribly unbalanced at the trot and his only comfortable gait was the canter. I would finish my ride red faced and sweating from the effort. I contacted Lucy from Gotcha Equine whom I have known for many years. We often discussed our horses and associated challenges in the past. Following Lucy’s advice, I implemented the Gotcha Feed Plan, feeding dry pasture hay (with no rye or clover) at night and limiting his time on the grass during the day. I started feeding the On Grass Vit & Min, De-Tox and Mag Max mixed in plain wheaten chaff and soaked Speedi-beet. It took a few weeks to get the dose and the amount of time out on the grass right, but once I did there was a noticeable improvement. The results were so noticeable my husband (from a cattle farming background) commented on the difference. The horse became much softer and forward, his movement became more fluid; he stopped dipping in the hind and could transition smoothly with three great paces. He was enjoyable to ride. He looked fantastic, with a super soft and shiny coat. Finally I felt like we were on the right track. Even more interesting was that the horse had been injured (kicked by another horse) just prior to me contacting Lucy. Putting him out of work at the beginning of the modified diet and nutritional support. Therefore, training had no impact on the improvements. By this time, the spring grass had really kicked in and I made the mistake of allowing him more time out on the grass, thinking things had settled down. However, the more grass time he had, the more erratic his behaviour became. He would bolt around the paddock and have bucking fits, he became spooky and was difficult to handle on the ground. The horse was very grass affected and could only manage around four hours of green grass per day. I knew how important it was for his gut health to still have no less then 3-4 hours out on grass. So it was a very delicate balance with this horse as even a slight deviation could tip him over. Dropping the supplement dose or changing the time out on grass would make a significant difference to his movement and behaviour. Even the paddock he went into made a difference; the paddock full of rye grass was worse than the paddock that had some rye but also more variety of grasses, including native grasses. When I got it right, the rewards were there; I had a calm and supple mount that was a pleasure to ride. Not all experiences with excessive grass intake may be the same as this, but most horses can be affected in some way. 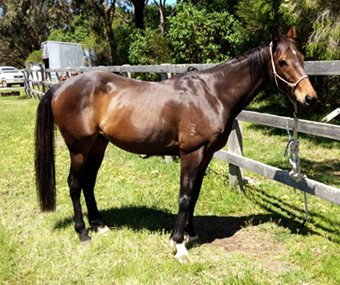 This particular horse was an ex-racehorse who had a long career at the track and was likely to have had a number of mineral deficiencies from years of hard work. Just as we treat our own health issues, with our horses the first step is to address the diet and the second is to address the nutritional intake. Hippocrates also said “Healing is a matter of time, but it is sometimes also a matter of opportunity”. Summer provides an opportunity to address both diet and nutrition. Since there is less green grass around it is easier to limit lush grass intake. The mineral imbalances caused by the excesses of spring can be addressed by supplementing appropriately. This gives us time to prepare before the autumn rain, when the grass comes on again prior to winter. Should you decide to embark upon a summer detox for your horse, take it step by step and implement changes slowly so that you know what is working. Address the diet first and then add in your supplements according to what is required. You could take before, during and after photos and videos. Document the weather, what you are feeding, the type and quality of work the horse is doing and behaviour. Attention to detail and patience will be rewarded; it is a slow process, however like any lifestyle change the benefits are great.